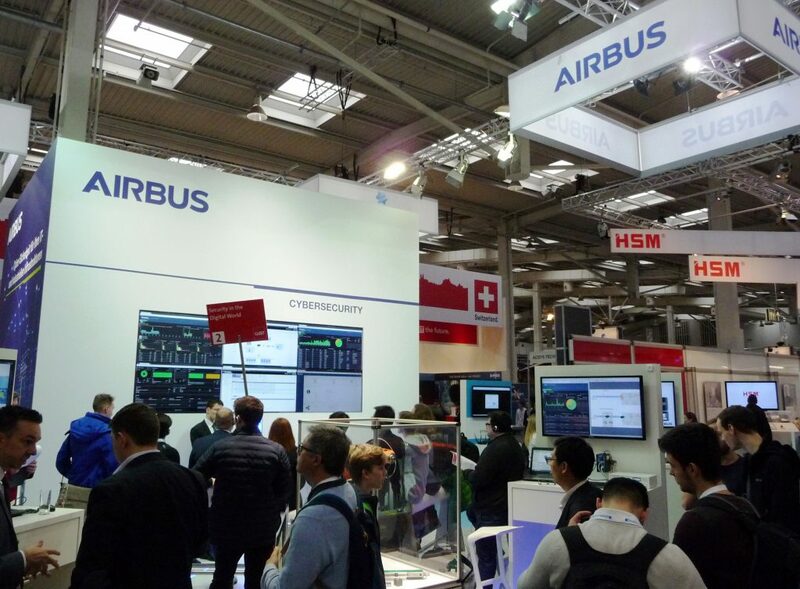 At this year’s CeBIT in Hanover from 20 to 24 March, Airbus CyberSecurity will showcase its entire product and service portfolio for protection against cyber threats in a networked world. These range from security solutions for industrial control systems (ICS) and network security solutions to data and endpoint protection. In the days of Industry 4.0, industrial control systems are no longer isolated, but rather operated in a production network. The Secure Operation Centre (SOC) is at the heart of this year’s CeBIT presentation. Visitors can follow live how targeted cyber attacks caused by an infected USB stick or the unauthorised remote accessi of a production facility are recognised, analysed and blocked. In the SOC, detailed information is also provided about IT security in factory automation, process management and critical infrastructure. Throughout the event, security experts will also have the opportunity to discover Airbus’ consultancy services – ICS Security Maturity Check and ICS Security Risk Analysis. Both services enable an independent analysis of potential security risks in production facilities. Further showcases and live presentations by Airbus CyberSecurity experts will demonstrate a secure data transfer between domains with different classification requirements and security levels. Airbus subsidiary Stormshield will demonstrate its security software Stormshield Network Security, with which endpoints can be reliably monitored and managed.